Photosynthesis is the process of producing carbohydrates by green plants using CO2 and H2O in the presence of sunlight. In light reaction, addition of phosphate in the presence of light is called photophosphorylation. 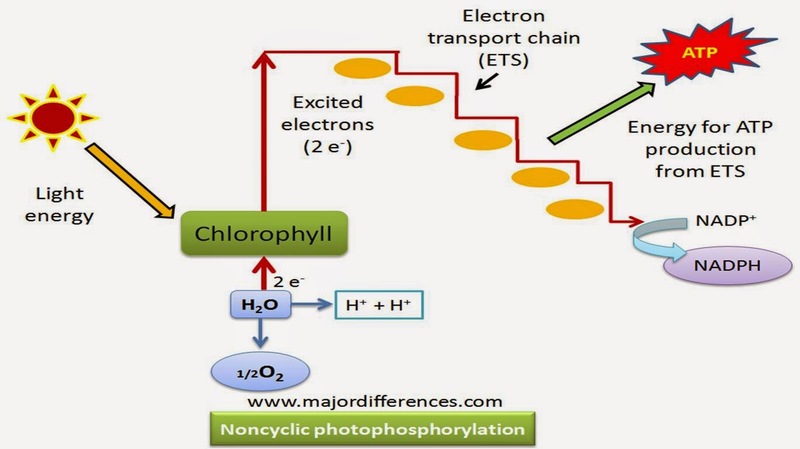 Non-Cyclic photophosphorylation The photophosphorylation occurring a non-cyclic electron transport is called non cyclic photophosphorylation. this page is usefull when v need cmprehensive but short answers!!!! Thank you so much, big tests with little review call for notes like these... Everyone should simplify notes this way! easy to make out and remember. NYC REWIEW AND CLEAR CONCEPTS!! SUPERB !!!!!!!!!!!!!!!!!!!!!!!!!!!!!!!!!!!!!!!!!! GREAT !!!!!!!!!!!!!! LIKE A PIECE OF CAKE!!!!!!!!!! 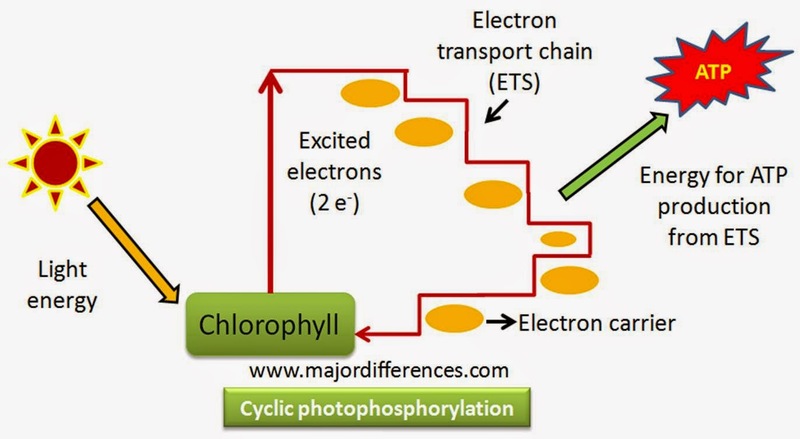 is there any difference in the site of cyclic and non-cyclic photophosphorylation? Great, simple and to the point. Excellent for a quick understanding of whats going on. You blessedt my life with this. Thanks! Thank you! Keep up the great work. It is an excellent short note.Indeed helpful. Thanks a lot. Exactly what I looking for.thanxalot. very much understandable even for low caliber students...well described. Thank you.. It was the most effective explanation I had till now.. Nicest!! It is understandreble I like it!!! Thanks. Very useful material. Its great! Excellent way of explaining. Short and informative. Very well presented and makes things very easy to study! But can somebody answer this? ATP is a very unstable compound and needs to be used up almost immediately after it is produced. Given that, how do organisms performing cyclic photosynthesis survive overnight?